I’m always torn when I consider films, books, and other art that humanizes serial killers and other notoriously awful people. It seems that so many people want to make Charlie Manson look cool or show the human side of Ed Kemper. I’m not denying that bad people are still people all the same, but I sometime struggle with glamorizing or humanizing them. Nonetheless, I’m endlessly fascinated with these projects. Thus, I find myself greatly interested in films like My Friend Dahmer, despite feeling a ton of mixed emotions when watching them. This is a weird little film based on what I suspect is a weird little graphic novel about the adolescence of a future serial killer. To me, the motivation of this art seems to be a man exorcising his demons about possibly contributing to the creation of a monster. Perhaps I’m wrong, but that’s really how it feels. The author is one of several of the friends of young Dahmer that encourage him to humiliate himself for their amusement. This is the crux of the story, Dahmer and a group of kids who “befriend” him in order to have him entertain them. The young Jeffrey Dahmer (portrayed by Ross Lynch, known mostly as a member of pop band R5 and for numerous roles on the Disney Channel) is an outcast. A group of “cool kids” finds it funny when he freaks out at school one day, spasming and making loud noises. They adopt him into their group, start a fan club for him, and encourage more and more of his freakouts. Throughout this time, he copes with family strife and his internal fantasies of necrophilia and cannibalism by becoming a heavy drinker. We also experience his unease with sexuality, in particular with his sexual preferences. The story comes to a head with the young Dahmer seemingly at a breaking point. It’s an interesting look at the younger years of a future psychopath, but it all feels a bit off. Again, it’s probably because it seemingly humanizes Dahmer a bit too much, almost putting some of the blame for his future actions on others. In short, I guess I’m not sure what purpose the film serves outside of quirky entertainment. Perhaps, quirky entertainment is the entire aim… and for that, it’s pretty damn solid. In fact, even amidst the mixed feelings I have when watching and thinking about the film, I gave it 4 out of 5 stars on my Letterboxd account. By all accounts, it’s an interesting film and a pretty good one. The discomfort and unease I feel when watching it could be the very point. It’s quite possible, even likely, that my awkward feelings about the film are the exact aim of the writers and filmmakers. And, if so, the mission was surely accomplished. 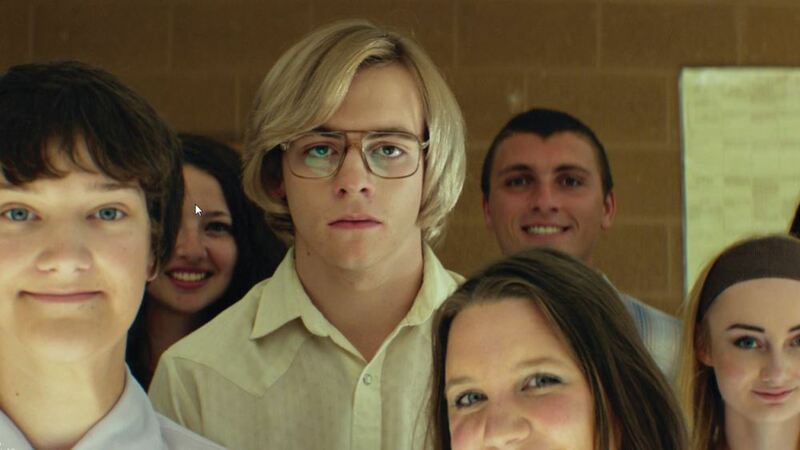 My Friend Dahmer is a bizarre slice-of-life film that makes me feel a bit gross… and that’s okay.